We Specialize in Car & Truck Interior Dash Kit Trim Appliqués - Offering Wood Grains, Carbon Fiber, Aluminum, & Many More Materials for the OEM & Aftermarket. We Design & Manufacture the Highest Quailty Dash Trims. 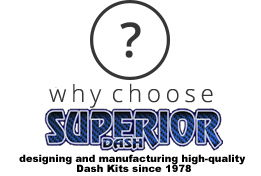 Our Superior Dash Brand of Products are Used in Factory Direct Installations. We Have Been Doing This Since 1978! Find Out What Sets Us Above the Rest. Installing An Interior Dash Kit is Simple & Quick. Purchase A 2D Custom Dash Kit Today! Give Your Vehicle a Fresh Look This Year. Browse Some of Our Installations for Inspiration. We Are Maxton Group Inc.